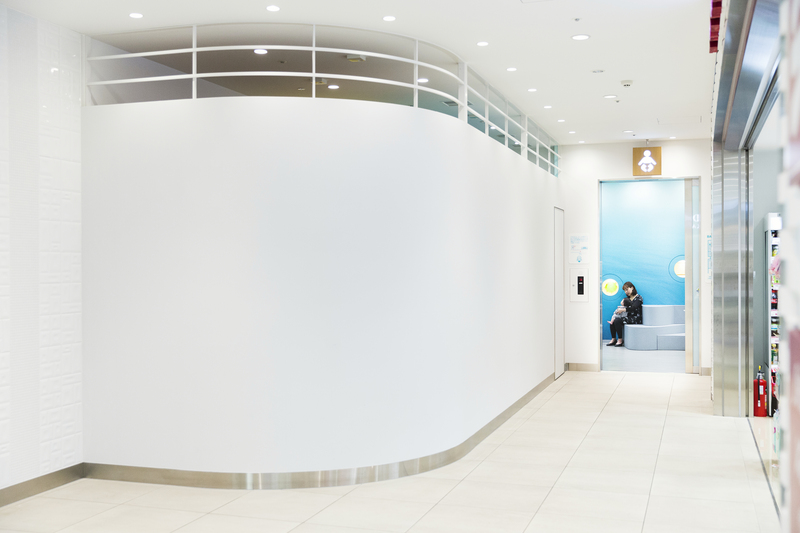 This is an interior design for a nursing room of a underground shopping mall of a station building. A visionary scape after the image of “Womb” was made, in order to make people relaxed in a busy surrounding under the station. 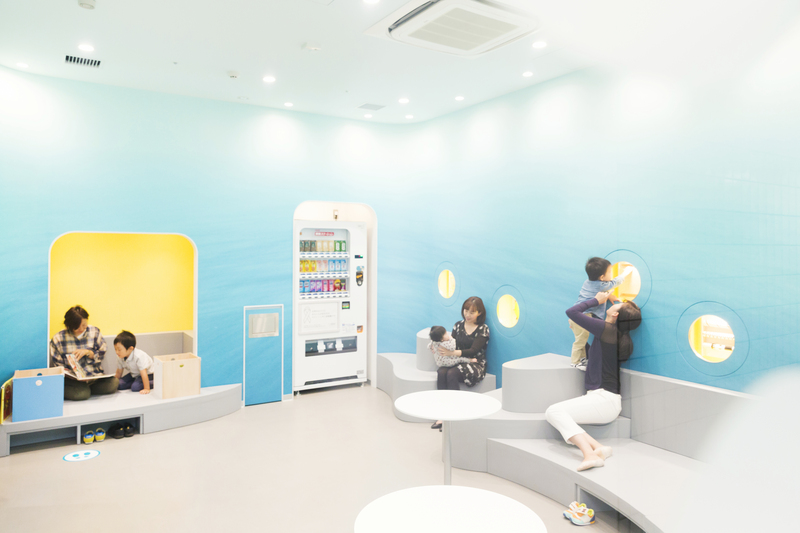 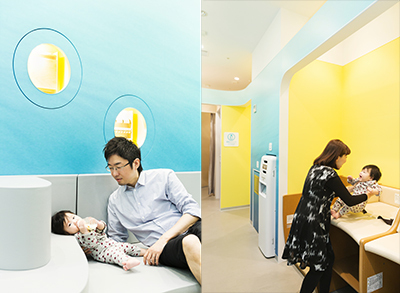 All the wall are covered by the huge picture of the sea, free-curved cushion sofas are laid on the floor, and facilities such as playing toys, picture books and diaper changing spaces are set in the warmly lighting holes on the wall. 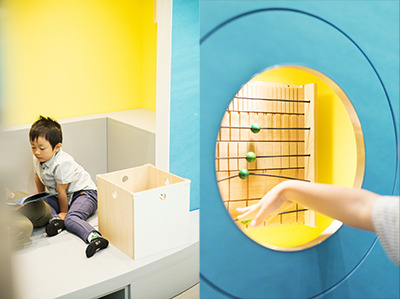 It reminds some imaginary story like “a secret blue sea is extending in the inner part of the underground”, and provide the environment which makes people feel calm and wish to stay longer.